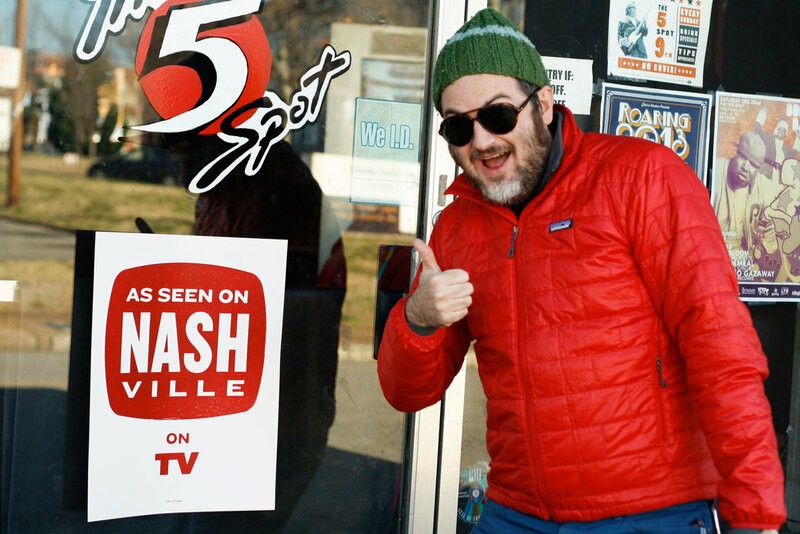 Someone asked me what's all this "As Seen on Nashville on TV" nonsense about the other day. Well really they said, "Hey that's great why are you doing it?" And I said, "Isn't it obvious?" And we both laughed! But actually I think I gave a really long winded answer about public art and perception of self and ownership of ideas. And then I really went on a long time about what it means to be aware of a moment happening in the moment. And what that does to the moment. And then I started talking about all the attention our city is getting and how it is changing so quickly and that we have to treasure the parts that make us unique and special as a people. And that is why we came up with the semi official "As seen on Nashville" awareness campaign - our attempt to recognize the fame brought to us by them for being us. You might know these places from your TV and you might know them from your life....or you might now know them because we've pointed them out with this print. Let us know ...if you know of a place that has been seen on Nashville and we'll try to get over there to properly celebrate. And of course don't hesitate to pick up your own copy! These projects are funded directly through your support. Your humble servants at Isle of Printing.